Death is whimsical these days, manifesting itself in shapes most repellent to man: men posing with the mangled parts of dead bodies; men urinating on dead bodies; men cutting out the eyes of their brothers and killing them in the name of religion. A human tragedy of inconceivable magnitude is taking place in some parts of Pakistan which are being inexcusably and consciously ignored by Western media. Only in April 2012, more than 250 Shia Muslims were maimed and killed in broad daylight. Around 150 pairs of Shias’ eyes were cut out of their sockets; many of them died while their faces had been smashed with stones or sprayed with acid. According to witnesses, who had managed to flee the scene of the crime, the Wahhabi attackers were void of any mercy; the criminals are now free and keep on partaking in their feast of blood. All these massacres are being legitimated and orchestrated by a Wahhabi group known as Sepah Sahabeh who emerged in 1985 in the Pubjab province of Pakistan as a reaction to the Islamic Revolution of Iran and the burgeoning Shia Muslims who had gradually entered the political and economical positions in the Pakistani government. The extremist group was considerably beefed up and enlarged under support of the then Pakistani president Zia ul-Haq with the ultimate goal of establishing an independent Wahhabi state in Pakistan and eliminating the Shia minority in the country. In fact, it is widely believed that the then Pakistani president Zia ul-Haq generously contributed to the emergence and development of such extremist groups and implicitly gave them carte blanche to engage in liquidating the Shia minority. The government of Prime Minister Nawaz Sharif which to a large extent relied on the Wahhabi extremists for political support went silently by this spate of violence. However, in January 2001, Sepah Sahabeh was branded as a terrorist group under the then Pakistani President Pervez Musharraf. A violent crackdown soon ensued as a result of which many members went into hiding but the group later re-emerged and branched out under different names such as Lashkar Jangawi and Jaish Muhammad. After all, Tahrik-e Taliban euphemistically called “Student Movement of Pakistan” is an offshoot of the terrorist group. Apart from the mass killing of the Shia groups, many individuals also became the target of these terrorists backed by the Pakistani intelligence agencies, inter alia, ISI. A large number of Shia elite including doctors, engineers, university professors and top students were brutally assassinated by this insidious group in areas such as Gilgit, Baltistan, Parachinar, Quetta, and even in major cities including Lahore, Karachi, Rawalpindi, Southern Punjab, and Islamabad. Interestingly enough, not a single soul has been arrested to account for these gruesome murders over the past years. It is extremely unfortunate to note that no practical steps have been taken on the part of the government in order to stall the activities of these extremists. 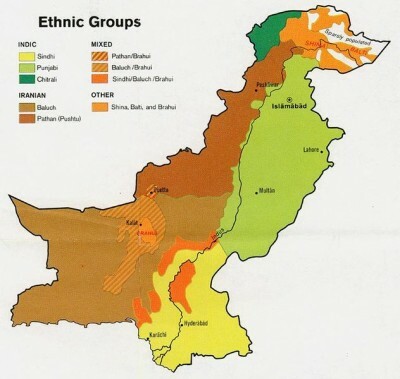 The only group which used to support the minorities including the Shia Muslims in this bias-benighted country is the Pakistan People’s Party (PPP) which has been recently plagued by indifference. The current PPP rulers seem to have shut their eyes to the woes of the minorities especially Shia Muslims who have contributed tremendously to the economic and social progress of the country. Mohammad Ali Jinnah, the founder of Pakistan, was himself a Shia Muslim who healed the image of the country in the eyes of the international community. Conversely, the Shia community has, during all these years, been on the path of patience and has never responded wrath with wrath and hatred with hatred. Countries such as Saudi Arabia and Bahrain promote Wahhabism and conduce to extremism by importing only non-Shia workers from Pakistan. Media reports suggest that Bahrain has hired retired Pakistani army officers to suppress the popular uprising in the country. Also, recent reports indicate that the Shia minority are being discriminated against in different government organizations in Pakistan. This is indeed an indirect act of promoting extremism within the Pakistani society. Be it as it may, the target killings have not only destabilized Pakistan but also deprecated the country as a hotbed of extremism and terrorism on an international level. These killings have provoked the ire of Sunni Muslims all across the country who believe atrocities of this nature gravely shake the very pillars of Pakistan, disrupt national unity, strengthen the enemies and drag the country into abysmal extremism beyond salvation. If the Pakistani establishment is really intent on stopping the spread of extremism in the country, they should cut off the invisible hands which buttress these extremist groups within the civilian government, military, intelligence services and the judiciary system.